Now based in Barcelona, DJ Seinfeld arrived in search of sunny weather having spent four years “not seeing the sun once” while studying in Edinburgh. 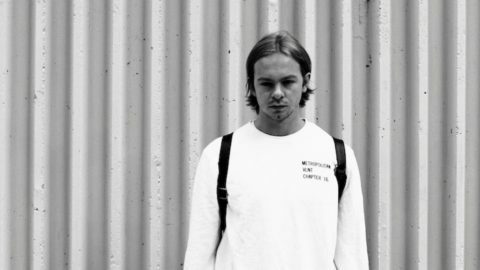 He initially studied for a Masters in Economics and then worked in IT whilst making tunes for a couple of years and uploading them to his Soundcloud at the same time. 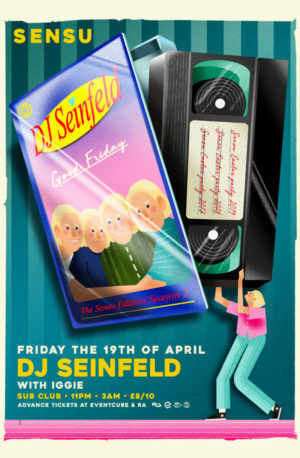 Seinfeld’s first release came in December 2016—a few months after his first ever release as Rimbaudian, a more classic house inclined alias – and from there the gigs started pouring in. After a few months playing two sets a weekend then rolling up to work at 8am on a Monday, he deiced to go all in on music. His 2018 release one Deep Sea Frequency was a less emotive/lo-fi release and more peak-time dance floor cuts thats perfect for playing out in the Sub Club basement.